Zoos know it is not safe to have elephants in close proximity to humans. yet the Zor Shrine Circus in Madison allows children to ride atop elephants every year. It is time to ban the use of elephants in circuses. The AZA, which accredits the Santa Ana Zoo, changed it safety policies over the summer to require that zookeepers not share space with an elephant without a protective barrier between them, Mouet said. Since elephant rides involve direct contact between people and elephants, the rides must end for the Santa Ana Zoo to keep its accreditation, Mouet said. Santa Ana Zoo ends elephant rides after protests | rides, zoo, santa – The Orange County Register. WASHINGTON — Former “Price Is Right” host and long-time animal advocate Bob Barker will be on Capitol Hill Wednesday morning, for the introduction of the Traveling Exotic Animal Protection Act — a bill that would restrict the use of exotic and wild animals in traveling circuses. Animal lover Jim Moran (D-Va.), who co-chairs the Congressional Animal Protection Caucus and has pushed previous legislation on animal cruelty, truth in fur labeling and outlawing the sale of “animal crush” videos, will sponsor the bill. 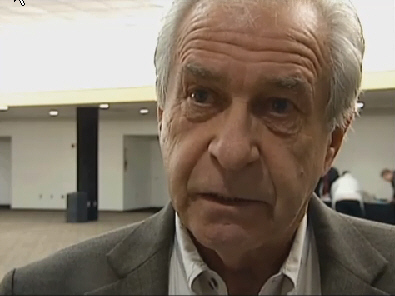 Read complete article here: Bob Barker On Capitol Hill For Exotic Animal Legislation. Dear Editor: The Ohio incident where exotic animals were released and police killed most of them brought to mind an incident in Wisconsin that happened over 10 years ago. A circus elephant escaped after it became spooked when a new trainer moved too fast in setting down a prop. Thankfully, this incident didn’t turn deadly like another notorious incident in Hawaii, where Tyke the elephant killed her trainer before hundreds of spectators and was shot 86 times by police before she died. Given the realities of circus life for elephants — constant exposure to changing environments, bright lights, loud noises and being in crowds with children and with other animals — it is inconceivable that a healthy elephant would be so startled. It may mean that she is already under excessive stress, meaning that a flight reaction could be triggered easily, at any time, even while performing or giving rides. 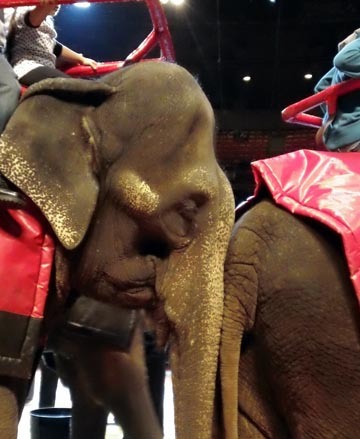 Julie Grosso: Circus life stressful for elephants.